Yes, your vehicle’s windshield can be damaged by wildlife. I have had trucks and cars in the shop after hitting birds or wildlife (even a Moose). Birds often nest under bridges or rest in the grass beside the road in Alberta. One customer hit a moose in BC. Today it was so nice to work on trucks and cars. We had the doors open all day and completed 6 windsheld installs and a few repairs. The last install was a truck that we left outside the shop. It was nice working im the heat although a bit too bright…. 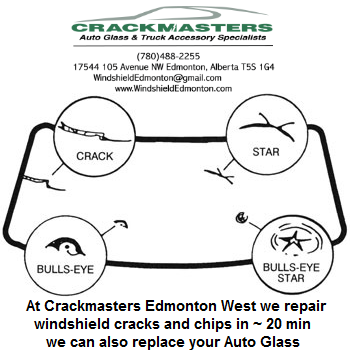 Hello; Crackmasters is close to West Edmonton Mall so, if you are going to WEM why not stop in for a windshield chip or crack repair. You may also want to schedule a replacement. 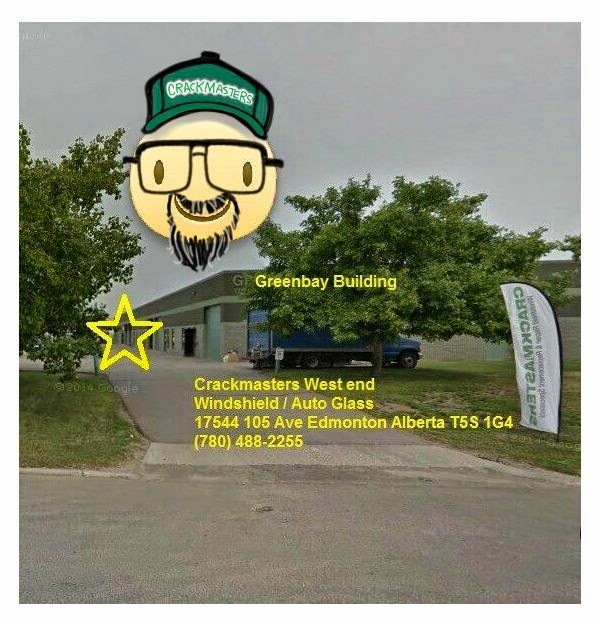 We can do all your Auto Glass.